The 2015 Cadillac CTS has a substantially higher price than before, making room for the ATS to fill the entry-level seat in the Caddy lineup. The 2015 Cadillac CTS sedan is a stunner–especially in V-Sport guise–and it looks great, too. The Cadillac CTS receives a short list of updates for 2015--including the addition of the new Cadillac crest to the grille--making this already excellent luxury sedan that much better. This year, it's only offered as a sedan, competing against cars such as the Audi A6, Jaguar XF, BMW 5-Series, Mercedes-Benz E-Class. The third-generation CTS&#194;&#160;finally tackles the thorny E-Class/5-Series/A6 superset head-on, while it marches Cadillac a few more brisk steps away from its straight-edged Art & Science theming. That retreat is unmistakable--because from some angles, the 2015 CTS bears a remarkable resemblance to Mercedes' E-Class, from the shape of the side glass, to the angle of the rear roofline. The blunt edges are smoother; the LED lighting at the front end does the neat visual trick of pulling the nose to the ground, while it picks it up and into the fenders. The CTS' interior mixes leather and wood trim, and caps it with a piece that drapes over and into the center stack. The CUE infotainment screen grabs major real estate in the cockpit, on the center stack and in the gauges. On some models it replaces the gauges entirely. The 2015 CTS has grown up and out into true mid-size dimensions, making back-to-back comparisons with E-Classes and 5-Series and XF easier. It's 195.5 inches long overall--4.1 inches longer than before--and the wheelbase is 114.6 inches, an increase of 1.1 inches. The roofline's lower by an inch, to 57.2 inches, and that has as great an effect on its five-passenger utility as the boost in rear-seat space. The CTS's front seats build up great support with firm bolsters and dozen or more adjustments. Base seats can be adjusted 14 ways, while 16-way leather-covered seats and 20-way seats can be fitted from the options list. The back seat in the CTS has a bit less leg room and support than the seats in its big-name German rivals, but it's better than past CTS sedans. The Cadillac's trunk is small, to boot. GM uses active noise cancellation to mute the noises of the turbo-4 and twin-turbo V-6. At the same time, sounds from in front of the firewall are pumped into the cabin through Bose speakers. The cabin wears a soft glow from all its screens, and discreet dashes of metallic trim lend it glamor. Three engines frame the CTS's argument in the mid-size luxury debate. The base engine is the same 2.0-liter turbocharged four-cylinder, rated at 272 hp, teamed with a six-speed automatic, and offered with either rear- or all-wheel drive. The base car is sorted well; it has light electric steering and a softly sprung ride, but sounds more gruff than the turbo four from BMW. The top CTS sedan is the $60,000 Vsport, fitted with GM's new twin-turbo 3.6-liter V-6, and good for 420 horsepower and 430 pound-feet of torque. It's rear-drive only, with a paddle-shifted 8-speed automatic, and comes with dedicated 18-inch Pirelli tires, an electronic limited-slip differential, a track mode, and Brembo brakes. Cadillac's 3.6-liter V-6 slots into the mid-line CTS with 321 horsepower and 275 pound-feet of torque. The rear-driver can be fitted with all-wheel drive, and those latter cars get same 6-speed automatic with paddles. A new 8-speed, paddle-shifted automatic comes with rear-drive versions. The V-6 fits better as a mid-size Cadillac, since it's quick enough to throw off 6-seconds runs to 60 mph. The CTS is relatively trim and light. Its base curb weight of 3,616 pounds is some 250 pounds less than the last-generation CTS, and its body structure is far stiffer. A slimmer CTS means superior handling, no matter which version: the steering forgoes steroidal and artificial weighting and it rides firmly, with little lean. We've driven a handful of CTS sedans, and our favorite is the Vsport, and not just because it compiles especially beautifully on a track. With Cadillac's magnetic dampers (an option on all models) and a quick steering ratio, it grips the ground fanatically, needling its way through carousels and esses--but relaxes in comfort mode to a composed, confident default mode. Like the Cadillac ATS, the 2015 CTS gets a full set of high-tech safety features, above and beyond the usual stability control. Ten airbags, parking sensors, rearview cameras--they're a little passe, aren't they? The CTS pairs radar and cameras to enable forward-collision alerts, and it offers adaptive cruise control and lane-departure warnings. The CTS also gets the clever haptic setup from the ATS and XTS. The system detects when the car rolls over the lane striping and vibrates the seat cushion as a gentle alert. GM's OnStar system is free for one year with the 2015 CTS, and comes bundled with smartphone-app access, down to remote start. OnStar also now includes 4G LTE data connectivity with the ability to create an in-car WiFi network. The 2015 Cadillac CTS will come in three different trim levels, named just as those on the ATS are named: Luxury, Performance, and Premium. All versions will come with power features, cruise control, climate control, and Bluetooth with audio streaming. Cadillac's CUE system is available. It's a defining piece of technology for the brand, and one that's far from foolproof--a sentiment we have regarding other infotainment systems. In particular, CUE has haptic feedback that isn't always predictable. It's not very good at natural-language commands and often, we reverted to smartphone-based Google Maps. Still, CUE looks dramatic and has some fascinating features that are worth learning. Its big 8.0-inch screen displays navigation, audio, climate, and phone functions, linked to a second screen between the gauges, controlled by voice or by steering-wheel controls. Navigation integrates with CUE, but remains optional on base models. The CUE system also includes text message alerts for 2015, and there's an available wireless DockSpot charging pad for mobile devices, too. And, the CTS now has a perpendicular self-parking feature available, too. Other nifty touches include parking assist, which steers the car into parallel spots while the driver keeps a foot on the pedals; ambient LED lighting; Bose audio; and a cupholder with a power-operated cover. Forget what the GPS says--that's the signal that the 2015 CTS sedan has finally arrived. With its classically handsome lines, killer LED lighting, and stunning cockpit, the CTS is a confident piece of Cadillac design. The latest mid-size CTS sedan may very well be the very best interpretation of Cadillac's design language that we've seen at this point in the game. This four-door--now in its third generation--is finally large enough to take on the Audi A6, Mercedes-Benz E-Class, and BMW 5-Series on their home turf, all while smoothing down many of the sharp edges handed down from Cadillac's early-2000s "Art & Science" cars. The retreat from the angle is unmistakable. From some perspectives, the CTS looks an awful lot like the Benz E-Class, from the slope of the rear pillars to the shape of the side glass. It continues to evolve the blunt-edged look of Cadillac's recent past. Look at the grille for evidence: it has a higher badge with no wreath and fewer ribs. The CTS' LED lighting goes vertical to pull the nose to the ground, while redirecting eyes up and over the front fenders. It's a lighting signature that works as well as the LEDs on Dodge rear ends or Audi fronts. This year the Cadillac CTS receives the brand's new badge, which uses a modernized version of the Cadillac shield, without the wreath. Cadillac has learned a lot about interior design in the past decade, and it's put it all to work in the new CTS. A single trim piece drapes over its center stack, and Cadillac applies leather and wood all over the dash, at least on the more expensive models. Some of the best treatments inside the CTS are two-tone themes that avoid the big pitfalls of mixing and matching. Big digital screens dominate the CTS cockpit. 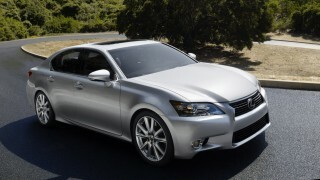 It has twin 8-inch touchscreens and a 5.7-inch digital display placed between the gauges. On some models a 12.3-inch screen replaces the dials. 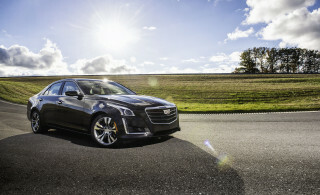 When it's illuminated, the CTS has a futuristic appeal that's a universe away from the its German rivals. Excellent steering and ride control and a 420-hp twin-turbo six put the Cadillac CTS on a German plane. The Cadillac CTS sets its gunsights on German sport sedans, as it has since it was new at the turn of the century. It's caught up in this generation, and in VSport trim, it's bested them. The latest CTS has the poise and finesse to draw attention away from its German competitors. It's no longer a pale imitation of a 5-Series or an E-Class, though it's obvious that Cadillac drew inspiration for the CTS from those cars. With the choice of three powertrains, the 2015 CTS sedan approaches the mid-size luxury class evenly. At the entry end, there's a 2.0-liter turbocharged four-cylinder, rated at 272 horsepower and 295 pound-feet of torque--about 32 horsepower up on the Jaguar XF's new turbo four, and also BMW's turbo four, while cranking out 30 lb-ft more torque than the same engine did last year in the ATS sedan. It sounds stressed, despite the active noise cancellation applied to it, but peak power arrives at usefully low engine speeds and sticks around into the 5500-rpm range. GM's six-speed automatic has paddle shifters to direct its way around the powerband, and all-wheel drive's available even on this model. Without an extra pair of gears versus the BMW, gas mileage is notably lower, and the Cadillac turbo four isn't as refined as BMW's--though it's on par with the Ford-derived Jaguar four. Skip that base engine for, at least, the mid-range 3.6-liter V-6. It has a sonorous growl to match its 321 hp and 275 lb-ft of torque, and the same choice of rear- or all-wheel drive. A 6-speed automatic with paddles is standard on the rear-drive model, but a new eight-speed, paddle-shifted automatic is paired with the all-wheel-drive version. A 0-60 mph time of 6.0 seconds feels easily in reach here. Cadillac rarely has had issues with that performance metric, though. It's handling where the marque hasn't quite clipped the wings of its European sparring partners--that is, until the arrival of the compact ATS last year. Incredibly composed and stable, the ATS has lent its road feel and some of its body structure to the CTS. It's obvious even in base models with the standard strut-and-multi-link suspension, electric power steering, and 17-inch wheels and tires. 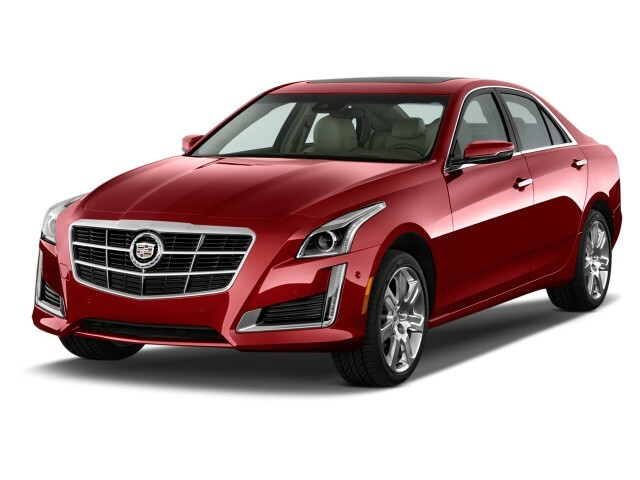 Because it has excellent front-rear weight balance, the CTS cuts cleanly through corners, even when fitted with small tires, and its steering doesn't need lots of artificial weight to stay on track. We've spent most of our CTS time in V-6-powered cars with magnetically adjustable suspensions. The "MRC" setup has dampers filled with magnetically reactive fluid. They're able to change the shock stiffness in milliseconds, just like they do in the new&#160; Corvette Stingray . They deliver on what was promised ten, twenty years ago, that electronics could deliver a smooth and agreeable ride and switch immediately to sportscar-stiff damping. With them, the CTS never floats or feels uncontrolled, and its longer wheelbase does a better job of smothering the road than the compact ATS. A remarkable sense of stability is augmented by sweetly tuned electric power steering, just as in the ATS. Until a new CTS-V comes along, the best performer is the CTS Vsport sedan's new twin-turbo 3.6-liter V-6. It's good for 420 horsepower and 430 pound-feet of torque, and comes only with rear-drive and the paddle-shifted 8-speed automatic. GM estimates its 0-60 mph times at 4.6 seconds, and its top speed at 170 mph. It's power-shy on paper compared to a twin-turbo V-8 5-Series, but because it's relatively lightweight--at 3,616 pounds in base trim it's about 250 pounds lighter than the last-generation car--the new CTS is a vibrant straight-line performer with all its powertrains, but especially with the twin-turbo six. The CTS VSport has learned the lessons inflicted on Cadillac by the likes of the Audi S6. It's a new half-step up to true V-Series status, and lines up perfectly with the mid-sport Audi and Lexus sedans in ambition, keeping some in the tank for later, for the M cars and the AMGs. The Vsport gets a flurry of handling upgrades all its own, including 18-inch Pirelli tires (19-inchers are an upgrade); a track mode for the magnetic dampers, throttle, steering, and shift points; a quicker steering ratio; an electronic limited-slip differential; and Brembo brakes. All the performance pieces compile beautifully, and don't blur over driving nuance with digital programming. The CTS Vsport grips the ground fanatically with its summer-tire package. It needles through esses and carousel turns famously, with a piped-in soundtrack ripping into the cabin with every downshift. MRC seemed unnecessary in the ATS, where it's a second-gen setup. With the latest third-gen system, the CTS makes magnetic dampers a must have. They aid it in delivering top-drawer grip and precision, with no slack. Now a true mid-size sedan, the Cadillac CTS has a truly luxurious interior with ample adult space. The Cadillac CTS sedan is a longer car than the car it replaced for the 2014 model year, and that's a good thing. 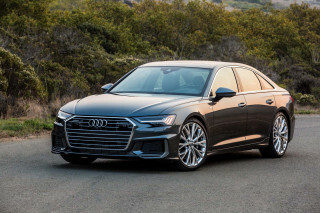 The last-generation CTS was a "tweener," sitting between the realms of compact and mid-size cars, but this new model is decidedly mid-size, and finally competes with the Mercedes-Benz E-Class, Jaguar XF, Audi A6, and BMW 5-Series. Quality is a subjective term, but we've been impressed by the fit and finish on Cadillac's ATS and now, in this CTS sedan, too. The cars we've driven so far have been pre-production prototypes, with production-ready finish. Cadillac's treatments are more glamorous than the woods and metals in an E-Class or a 5-Series; the combination of those big, bright screens and glossy wood finishes contrast sharply with the softer tones in a BMW or a Benz, in the right way. GM modifies the noise that enters the CTS' cabin. It pipes in an opposite frequency and cancels out offending notes. 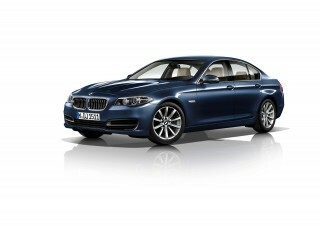 The techno assist helps the four-cylinder the most; it's not as purely happy at high engine speeds as BMW's turbo four. On the CTS' twin-turbo six, some engine noises from ahead of the firewall are piped into the cabin, doubling the intensity of good sounds.BMW does the same trick in some models. If you care about authenticity, it's an issue; if you care more about cutting weight and boosting performance as a result, noise cancellation is a cool solution made possible by rapidly advancing technology. By the numbers, the 2015 CTS measures 4.1 inches longer than it was in 2013, at 195.5 inches from grille to taillamps. Its wheelbase has soaked up 1.1 of those inches, at 114.6 inches. The roofline's lower by an inch, to 57.2 inches. The rearranged interior space doesn't alter front passenger room by much. The CTS has comfortable knee and head room--at least, without the sunroof that's sure to be a popular option. We've driven examples with Cadillac's fantastic new 20-way adjustable seats; like the buckets in the ATS, and even the Chevy Malibu, they're formed with real care to upper-back support without giving in to the firm-is-best philosophy. The back seat is better than it was, but it's not palatial like the rear bench in an E-Class. The cushion's mounted low--and so is the rest of the car. Climbing in and out isn't simple, even though the door cuts are larger than the puny ones in the previous CTS sedan. The low roofline requires a duck, and once you're in, the cushion height will leave most adults with less under-leg support, and less knee and head room, than in the Benz or BMW. 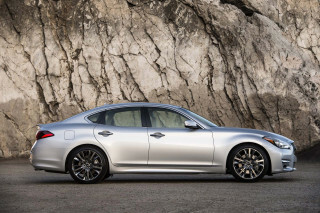 It's very Jaguar-like, in fact--a conscious choice to split the difference between a sleek roofline and a truly large back seat. The CTS doesn't have abundant trunk space. At 13.7 cubic feet it's far from the cargo hold in more pedestrian Taurus and Passat sedans. Read our most recent full review on the carry-over Cadillac CTS-V.
Crash-test scores have been excellent; rearward visibility isn't great, though, on the new CTS. The 2015 Cadillac CTS gets a five-star overall rating from the NHTSA. The IIHS has only evaluated the CTS for moderate frontal overlap and side crash testing, where it earned ratings of "Good" in both cases. A slew of tech options can boost safety. Parking assist lets the CTS do its own steering into perpendicular or parallel parking spots. Forward-collision warnings can be ordered, along with lane-departure warnings and adaptive cruise control. With the haptic alerts baked into the CTS, a slip over the double-yellow line triggers a vibration in the seat cushion. Each CTS has 10 airbags, with knee airbags for front passengers. A rearview camera is standard, and so are rear-end parking sensors. GM also installs OnStar hardware and gives CTS owners one year of free service, with smartphone-app connectivity. CUE is still a pretty but moderately annoying interface; wireless Internet connectivity is new this year. The 2015 Cadillac CTS competes directly with the German mid-size luxury sedans, it's equipped in a way that outdoes many of them in the features category. At the center of the CTS' infotainment system is the most recent version of CUE, the touchscreen-enabled infotainment system that uses haptic feedback and proximity sensors to help users cruise through its menus and functionality. That system now reads out text messages, and can broadcast a WiFi network using OnStar's 4G LTE data connection, new for 2015. It's a dazzling-looking system with some of the usual downfalls common to MyLincoln Touch and other touchscreen and voice-activated systems: it looks quite dramatic but voice recognition can be spotty, and it can be cumbersome to swipe and tap through functions that formerly lived in a single button. CUE's beautiful 8.0-inch center screen is paired with a smaller screen inset between the gauges; on some CTS sedans, the entire gauge display is swapped out for a 12.3-inch screen that morphs its look as it cycles through driving modes, from comfort to sport. A navigation system that integrates with CUE is an option on base CTS sedans, standard on others. Other key features include a head-up display; parking assist, which steers the car into parallel spots while the driver keeps a foot on the pedals; ambient LED lighting; Bose Centerpoint audio; heated and ventilated front seats with up to 20-way adjustment; remote start; and a cupholder with a power-operated cover. Forget what the GPS says--that cupholder is the signal you've arrived. All CTS sedans will be sold in one of three trim levels--Luxury, Performance, and Premium--and each one will come with standard automatic climate control; AM/FM/XM/CD audio; Bluetooth with audio streaming; and power windows, locks, and mirrors. Stick with the turbo four for great gas mileage; other CTS sedans won't treat you as well at the gas pump. Thanks to its available eight-speed transmission and available turbocharged four-cylinder engine, the 2015 CTS can earn better fuel economy than it has in the past. Active grille shutters are one of the many gas-saving technologies that have made their way into the CTS sedan, but there's no hybrid version in the works--though Cadillac has said it's mulling a diesel powertrain for some models it sells abroad. At the pinnacle of the CTS lineup--for now, at least--there's the Vsport, fitted with GM's new twin-turbo 3.6-liter V-6, and good for 420 horsepower and 430 pound-feet of torque. 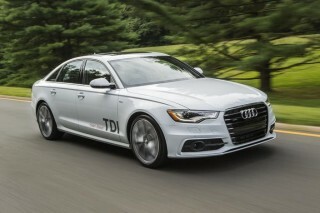 It's rear-drive only, paddle-shifted eight-speed automatic only, and rates 17/25 mpg in preliminary gas-mileage tests. GM's workhorse, its 3.6-liter V-6, has a place in the mid-line CTS sedan. 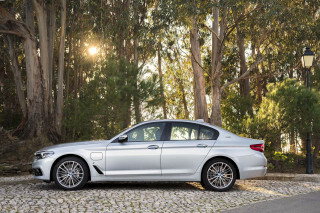 Rated at 321 horsepower and 275 pound-feet of torque, it earns an estimated 19/28 mpg with rear-wheel drive and the eight-speed automatic, or 18/26 mpg, or 21 mpg combined, with all-wheel drive and the six-speed automatic. That base four-cylinder is shared with Cadillac's ATS, and here, it's rated at 272 horsepower--what a top-flight CTS made just a few years ago. In the rear-wheel-drive version of the 2014 CTS sedan, the 2.0-liter turbo four earns EPA ratings of 20 miles per gallon city, 30 miles per gallon highway, and 23 mpg combined. 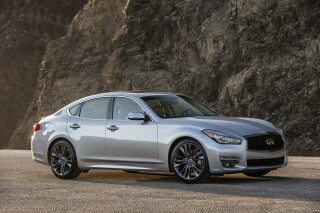 Adding optional all-wheel drive drops those numbers to 19/28 mpg, or 22 mpg combined. Both of these versions are outfitted with the six-speed automatic.